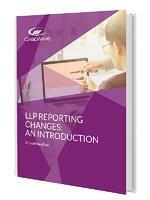 Accounting for LLPs is a specialist area that requires expertise and an understanding of the business structure. With this in mind, are you prepared for the changes in repoting standards for LLPs? Our latest eBook covers all you need to know about the upcoming changes. To download your guide today, simply fill out the form.